"Deep Sea Adventure - Rescue and Exploration Mission MANTA RAY". 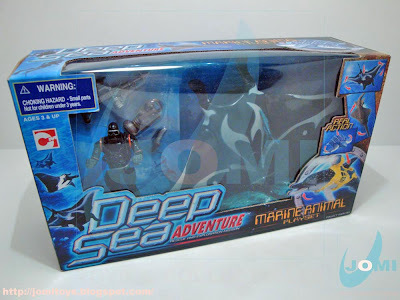 One of the 4 "Marine Animal Playset" packs this line had, this was our very first choice between all those. Not only because it clearly has the most perfect scale related to 3 3/4" figures of them all, but it looks absolutely beautiful. From the painting to the form, to the smooth touch. 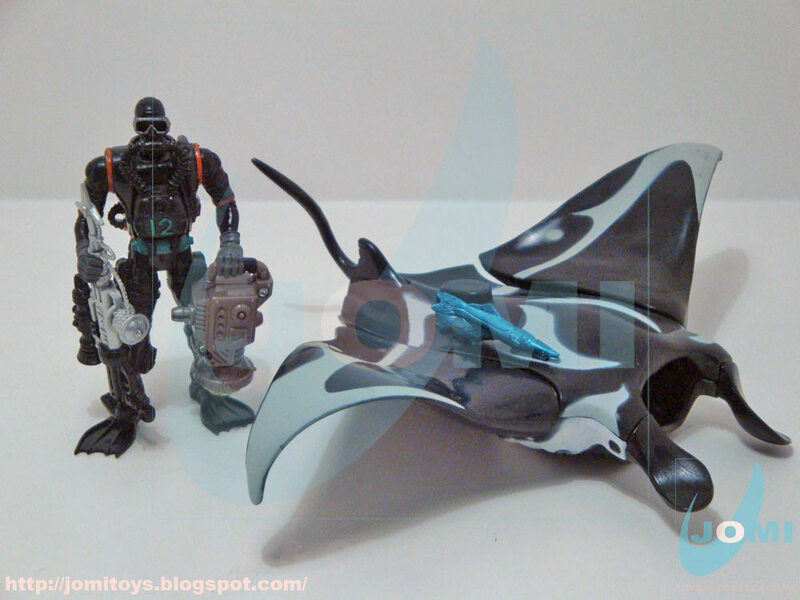 Fresh out of the box, the MANTA RAY (largest species of the rays) and the diver (named Dean Octogear in the Rescue Squad theme), come in a very nice (underwater) background image insert. Playset´s included items. The Ray even has a couple of "Remoras" attached. 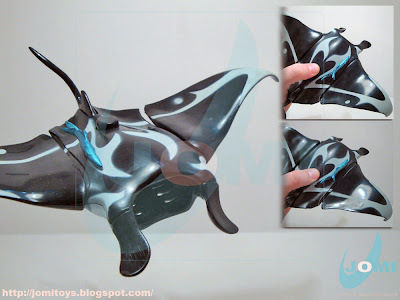 Remoras, aka "suckerfish or sharksucker or even whalesucker". Diver and accessories. 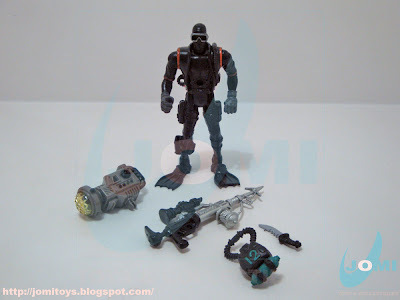 For further information on this figure, refer to "Soldier Force IV Heavy Combat Boat Playset". This gigantic Ray (can go up to 25ft / 5000 lb) looks cool from any angle. 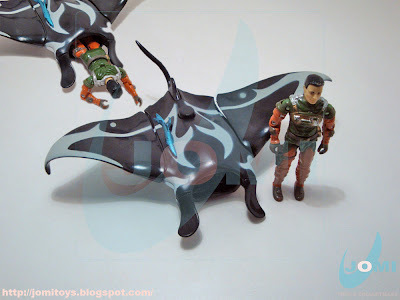 The first thing that ever came to mind was a diorama with Cobra Eels. I wonder why. When you press the button, it mimics the swimming motion. Out of curiosity, these big creatures also launch into the air when they surface. Like Sharks, whales and such. 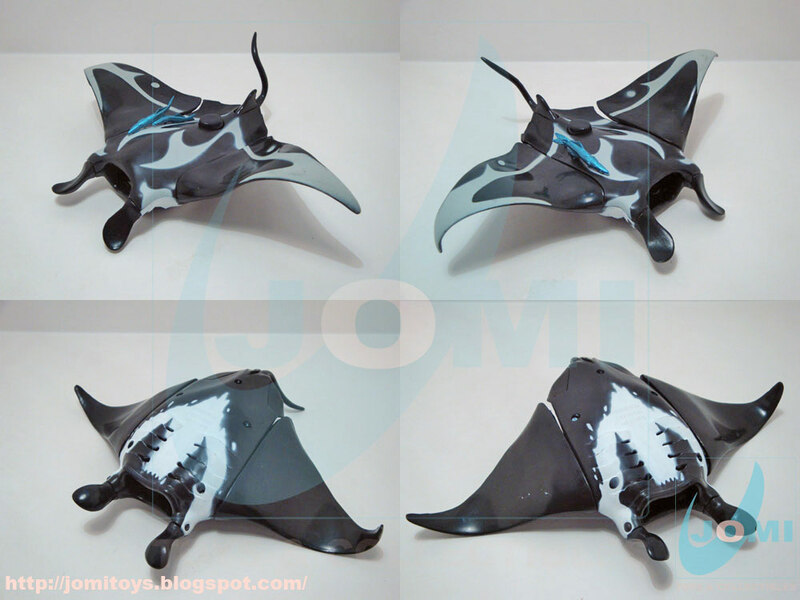 Due to their dynamics, whenever they surface, they look very stylish. ...And are pretty harmless to humans. This scale shot comes to prove my "Eels diorama" remark. Although not dangerous, Cobra would sure find a way to make them not only menacing, but deadly. 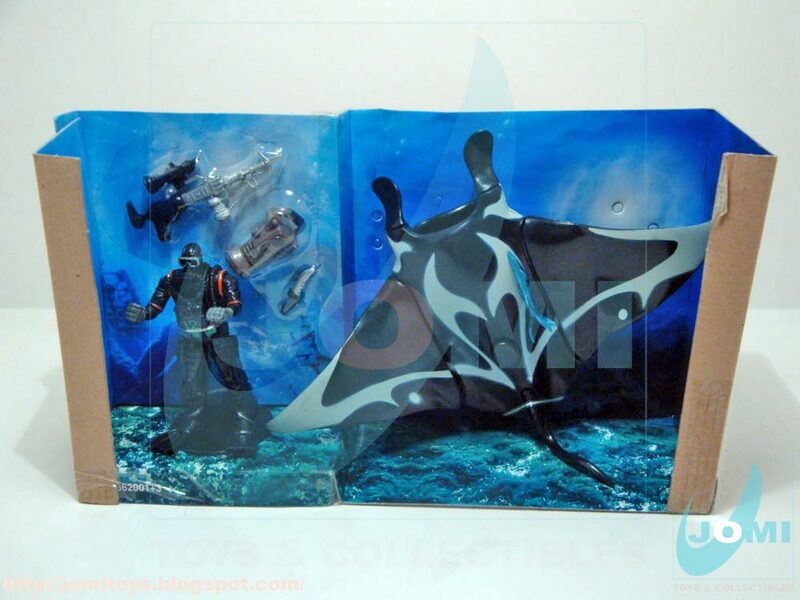 The picture you see on top left is there only to show that this MANTA RAY model has a space on its "mouth" big enough to hold half a RAH G.I.Joe figure, although this animals are open ocean filter feeders.